"Trump read a telegram from the President, who said that the design of the wall ‘Recognizes that the best expression of the veterans’ experience in Vietnam may be found in their own words and those of their loved ones." —Daily News, Architecture Review. 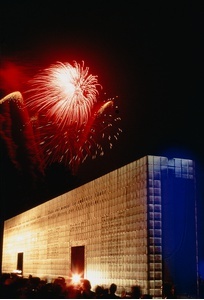 The Memorial was selected in an open competition from over 1,000 entries. The glass monument is inscribed with selections from letters written by soldiers to loved ones at home. The concept for the Memorial inspired the Emmy-winning HBO presentation and book, "Dear America: Letters Home from Vietnam." 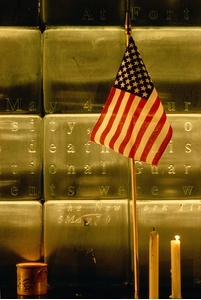 An exhibition on the memorial was also displayed at The Municipal Art Society of New York.